Want to know what is happening in Montana and North Dakota? 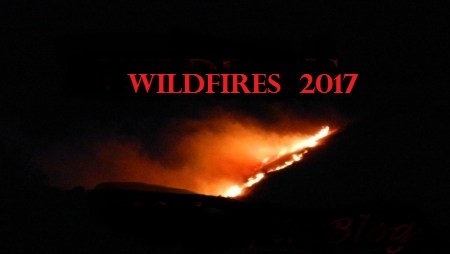 Here is a compilation of active wildfires for Sunday, July 16, 2017. We are working to add them as fast as they are igniting! Blue Ridge Complex (2 Fires) – 39 miles NW of Jordan, MT. 3034 acres. 85% containment. 74 personnel. 2 crews. 7 engines. $115,000 CTD. Cedar Creek Fire – Private land. 13 miles South of Glendive, MT. 800 acres. 90% contained. 48 personnel. 1 crew. 6 engines. $20,000 CTD. July Fire – 1 mile SW of Zortman, MT. 11,699 acres. 95% containment. 117 personnel. 1 crew. 2 engines. 5 structures lost. $6 Million CTD. Lazier Creek 2 – 22 miles SW of Marion, MT. 1145 personnel. 60% containment. 483 personnel. 12 crews. 25 engines. 1 helo. $3.9 Million CTD. Lookout Fire – 7 miles NW of Sieben, MT. 200 acres. 0% contained. 0 resources. $50,000 CTD. Magpie Fire – 44 miles NW of Dickinson, ND. 5,000 acres. 94% contained. 84 personnel. 1 crew. 5 engines. 1 helo. $884,000 CTD. Park Creek Fire – 2 miles North of Lincoln, MT. 200 acres. 0% contained. 66 personnel. 2 crews. 4 engines. 2 helicopters. $5,000 CTD. Sliderock Fire – 28 miles SE of Missoula, MT. 120 acres. 0% contained. 61 personnel. 2 crews. 4 helos. $500,000 CTD. – Thanks for reading our post!